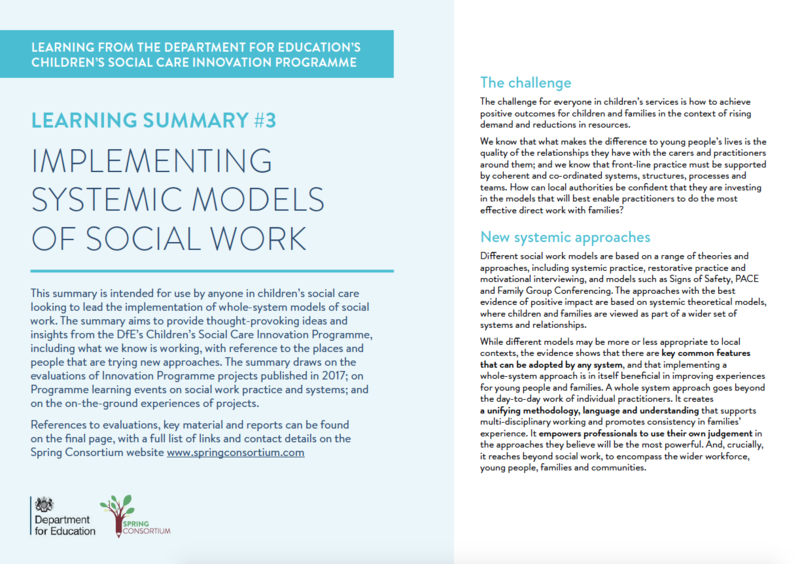 In 2014 the Department for Education (DfE) announced a two year, £100m innovation fund to support 53 bold new approaches to transform outcomes for children and young people in care. 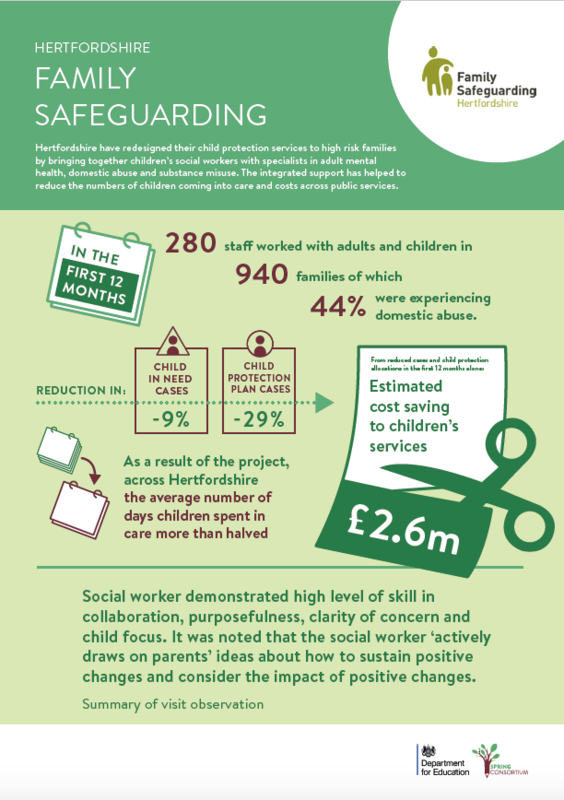 The success of the programme led to a second phase beginning in 2016, with £200m committed over four years. 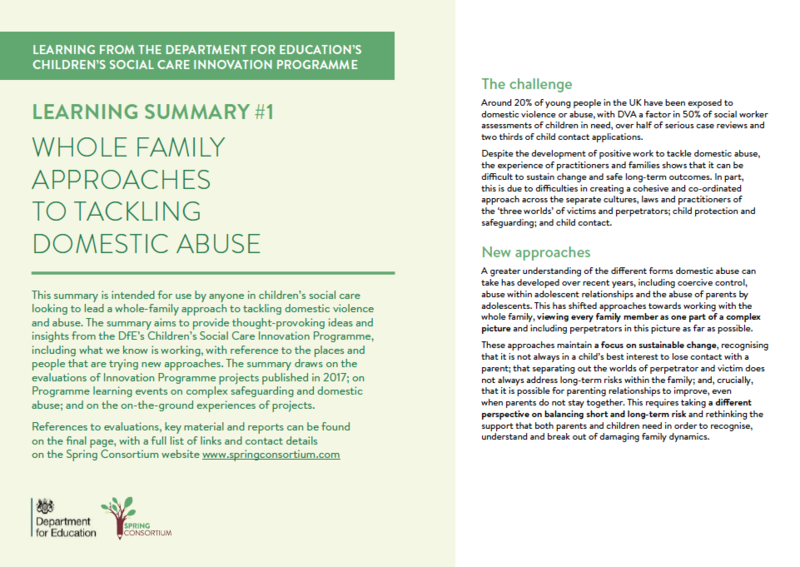 The DfE commissioned Spring Consortium to be the delivery partner for the programme. Innovation Unit is proud to be a member of Spring Consortium alongside our partners Deloitte and Mutual Ventures. 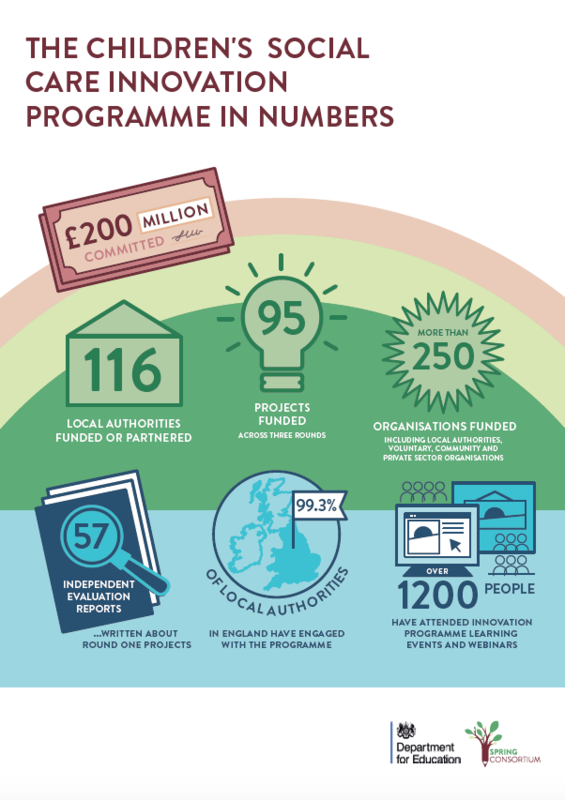 Innovation Programme Project Posters (2018) – find out more about the projects involved in the programme, including evaluation outcomes. 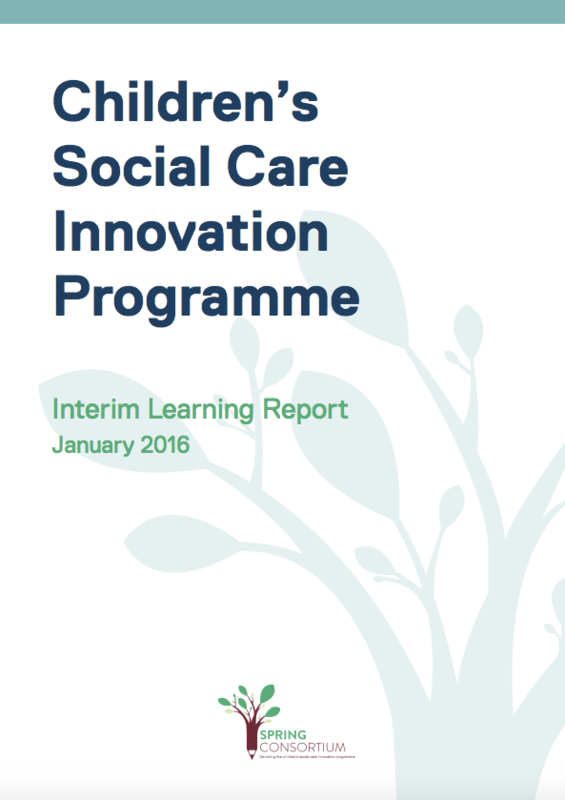 Innovation Programme Visual Case Studies and Storyboards (2017-2018) – visual case studies and storyboards provide learning about innovative approaches and methods used in the projects. 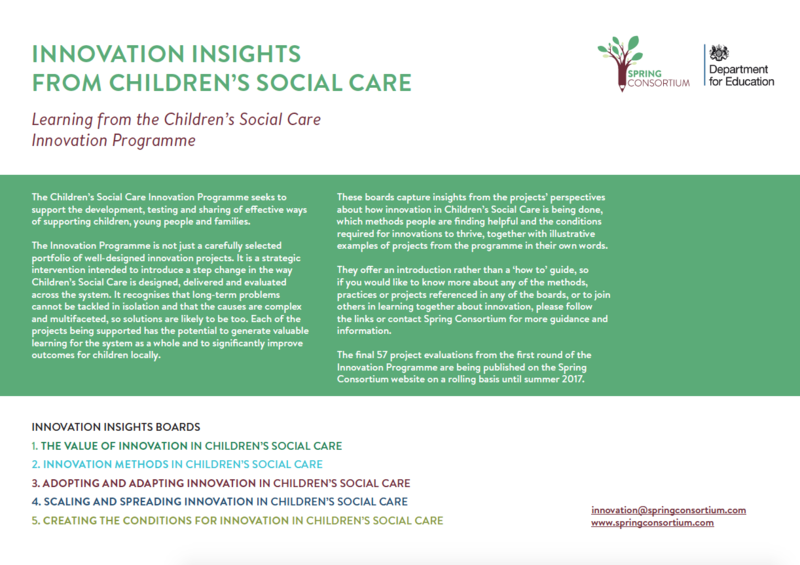 Innovation Insights from Children’s Social Care (2017) – ‘how to’ insights about innovation in children’s social care, including the approaches projects are finding helpful and the conditions required for innovation to thrive. 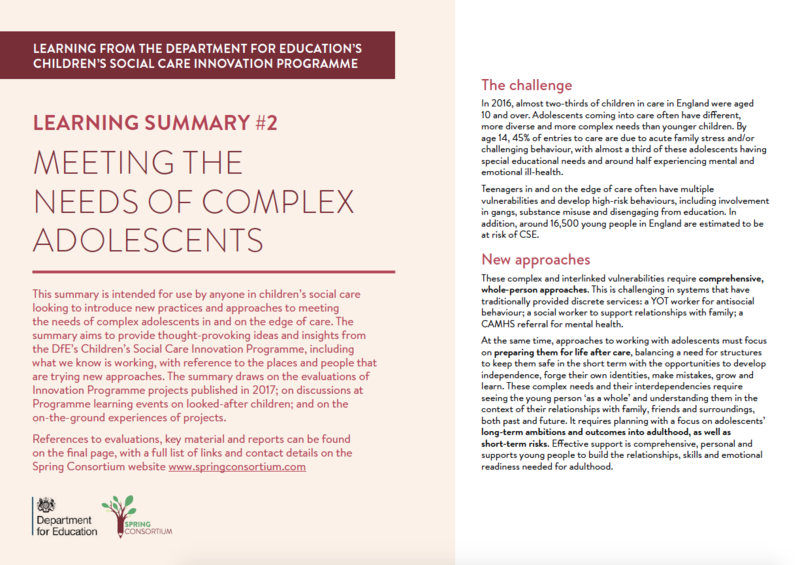 Learning Summaries (2017) – thought provoking ideas and insights from the Innovation Programme, drawing on the evaluations of Round One projects, IP learning events and on-the-ground experiences of projects.